Penco RIVETRITE® Boltless Shelving consists of simple components that lock rigidly together to form exceptionally strong shelving units. Single rivet beams on intermediate levels only. 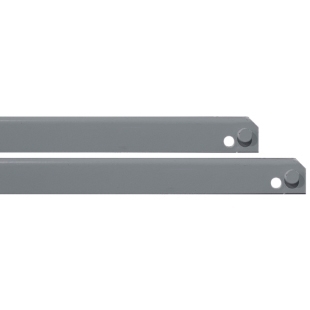 Single rivet crossbeam takes up less vertical space than double rivet beams. Beams snap into an angle post and create your own shelf.